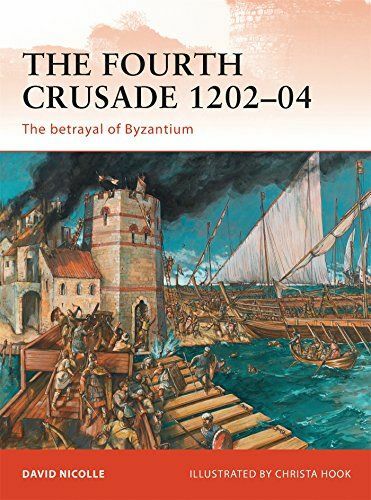 The Fourth Crusade was the first and most famous of the ‘diverted’ crusades, that is, ones diverted from their originally intended target. It was also the first to be directed against a fellow Christian, though Orthodox, state. Initially preached (from 1198 onwards) as a campaign against Ayyubid Egypt, which was correctly seen as the most potent threat to the Latin or ‘Crusader’ Kingdom of Jerusalem, its first Christian target was the city of Zadar in what is now Croatia. The greater part of the crusading army then attacked the Byzantine capital of Constantinople, again as part of their obligations to Venice. The result was a siege and the first capture of that great city in 1203. This title will highlight all the intrigue, deception, and betrayal of this tumultuous Crusade.